After two months of grueling competition at nine events set across the United States and Canada, the field is finally set for the 2014 Summit Racing Equipment SuperSeries World Championship presented by AMSOIL at this weekend’s IHRA Summit Racing Equipment World Finals at Memphis International Raceway. A total of 48 participants advanced to the championship runoff from competitions in North Carolina, Tennessee, South Carolina, Pennsylvania, Michigan, Texas and Alberta and will now compete for a world championship and lucrative championship prize package in one of the most prestigious grassroots racing programs in the world. The competition in Top ET, Mod ET and Junior Dragster will feature 16 drivers in each class competing for the title. The winners and runner-ups at Summit Team Finals competitions in Divisions 1, 2, 3, 4 and 9 and winners in Divisions 5, 6 and 7, plus one wild card recipient in each class, will make up the field. The incredibly diverse field features racers from all corners of the United States and Canada and from as far away as Alaska, Hawaii and the island of Aruba. In addition, 41 IHRA sanctioned tracks will make up this year’s field of 48 drivers, with seven tracks having more than one driver make the field. This year’s Summit SuperSeries participants in Top ET are Joseph Bagwell, Cody Bayus, Mark Brewer, Courtland Carter, Terry Goff, Scott Henderson, Kevin Henry, Jeffrey Jones, R.W. Jordan, Shane Maddox, Lee Marcum III, Jerry Norton, Amber Rose-Smith, Gary Smiley, Robert Smith and Nathan Thornsley. In Mod ET the field consists of Bobby Arnett, Ian Bernard, Kris Bunch, Sonny Freeland, Benny Gossett, Ernie Humes, Billy Janousek, Jerry King, Rodney Lunsford, Ken Myrick, Mark Pressey, David Richardson, Greg Sauvage, Dean Smith, Gordie Stevens and Sambo Tyra. Finally, making up this year’s Junior Dragster field are Jeremy Barbee, Brandon Butler, Parker Dotson, Katlyn Hall, Justin Hutto, Leendrick Lacle, Chad Logan, Lizzie Low, Paige Montgomery, Allison Muchler, Ethan Ochitwa, Tyler Poindexter, Noah Pollard, Johnny Tolisano, Michael Wayne Turman and Dawson Wiggins. Representing their home tracks, the 48 participants will travel to Memphis International Raceway this weekend to compete in the Top, Mod and Junior Dragster championships with the title of World Champion and over $200,000 in cash and prizes available to the top finishers. The drivers will get their first hit at the track on Friday, October 10 followed by the 2014 running of the Summit SuperSeries World Championship on Saturday, October 11. The Top ET winner will receive $10,000 from Summit Racing Equipment and a brand new turn-key dragster made possible by the help of TNT Supercars. The brand new dragster features a custom Trick Flow big block Chevy Racing engine, plus various parts and pieces from the biggest names in the drag racing industry. The dragster will also feature a custom paint job and design courtesy of Imagine That Customs. The Top winner will also receive a trip to Aruba, an IHRA Gold and Silver Card, World Champion Ironman and more. 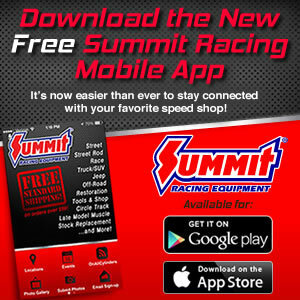 The Mod ET winner will receive $10,000 from Summit Racing Equipment, a custom 26’ racing trailer from Performax Trailers, a $2,500 gift certificate from Trick Flow Racing, a Gemini two-post Auto Lift, a $5,000 gift certificate from Hughes Transmission and Converter and gifts totaling more than $10,000 from various companies. The winner also receives an Aruba vacation, IHRA Gold and Silver Card, World Champion Ironman and more. In addition to crowning its third-ever IHRA World Champion in Junior Dragster, the Junior program will also reward its winner with $3,000 from Summit Racing Equipment, a brand new Junior Dragster built by J.R. Race Car with a custom paint job by Imagine That Customs, an IHRA Gold and Silver Card, World Champion Ironman and more. An awards celebration recognizing the qualifiers and other seasonal programs including the Summit Pro-Am Tour will take place Friday morning at 11 a.m. at the track. The IHRA Summit Racing Equipment World Finals are this Friday and Saturday at Memphis International Raceway.